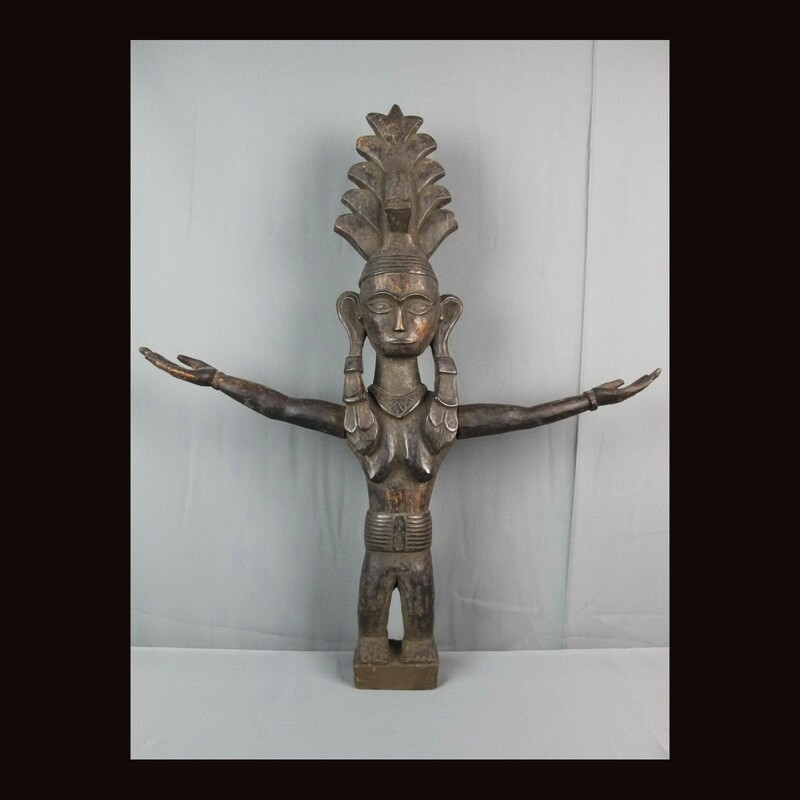 This majestic, tall Nias ancestor chief figure represents a long-­‐deceased ancestor-­‐Chief, and would have been displayed prominently inside a wealthy Chief’s house as a protective device-­‐ usually they were displayed above the floor and atop a stand in a large room in the house. The figure is unusually naturalistically carved compared with the more stylized and geometric images of most Nias ancestor figures. It stands tall with two (removable) outstretched arms, face features deep relief eyebrows, characteristic almond-shaped eyes, prominent raised nose, and carved fleshy earlobes donned with long earrings. The crown is carved resembling that of a palm leaf or a fern frond. Few additional features can be seen on the body of carved necklace and waistband, to add to the flow and elegance of the piece. Displays deep rich encrusted patina from generations of use and storage.